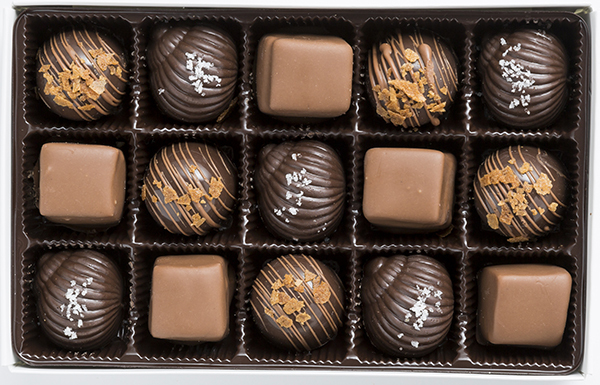 Grab our most creamy, buttery, and mouth-watering assortment. 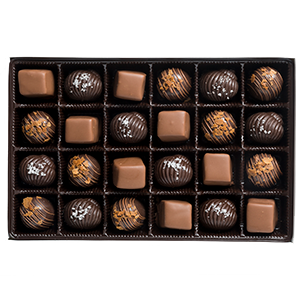 This box offers our favorite caramel selections: slow-cooked french salted caramels, chewy milk chocolate caramel squares, and a Madagascar vanilla caramel. For our full chocolate experience at our Mt. Clemens location! 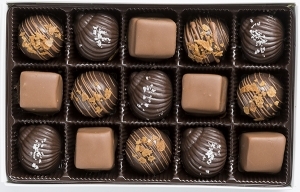 The contents of this webpage are Copyright © 2019 Champagne Chocolates. All Rights Reserved.